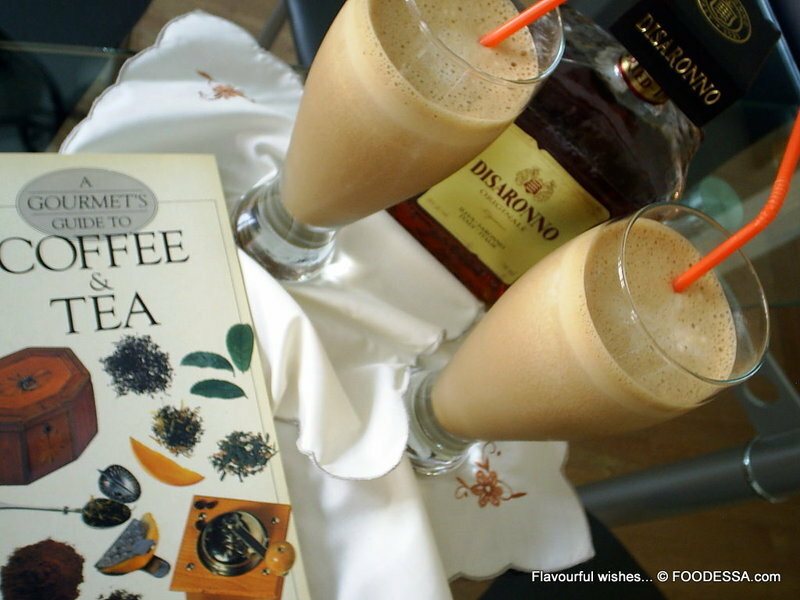 This has remained a highly requested concoction.
. 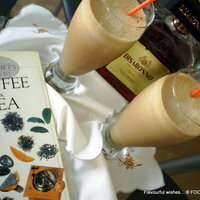 In a blender...crush and blend coffee cubes until a smooth granita consistancy is achieved.
. Add the syrup and liquor. Blend again.
. Add just a little milk to the blender in order to liquify the coffee mix for easier pouring. Set aside the rest of the milk.
. Pour the blender mix into two very big glasses. Continue pouring the remainder of the milk equally between both glasses. This is just the thing for sipping after an evening passegiatta! Lovely!